If you’re planning a trip to Chicago, you’ll want to immerse yourself in its rich arts and culture scene. Lucky for you—it’s really easy to check a few spots off that list of yours, as there are so many opportunities to experience talent and beauty in Chicago. Whether you’re visiting one of its many museum exhibits, or you’re simply looking at a piece of graffiti, mural art in one of its diverse neighborhoods, you’re bound to see some breathtaking and inspirational work. Here are the must-see art destinations to visit when traveling to Chicago. 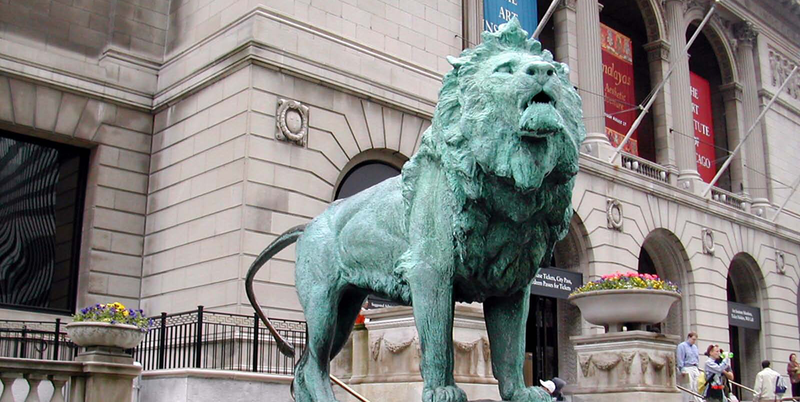 Known for its several exhibitions and educational events, The Art Institute of Chicago is the perfect place for mental stimulation and creative inspiration. You could literally spend hours there exploring all the different collections and seminars. What’s currently in demonstration? New Galleries for Islamic Art and Holiday Thorne Rooms are not to be missed. What’s more, the museum also offers private tours year round, so you can book an event or schedule a full day at your convenience. Plus, some hotels even offer special packages for visiting The Art Institute of Chicago, so be sure to inquire with the hotel upon booking. Another great museum to visit is The Museum of Contemporary Art, which is known for its innovative and modern performances, exhibits, and educational programs that will get you really thinking, outside the box. This is the perfect place to go to when you’re looking for a brand new idea for a project or to get those creative juices flowing. What’s going on now? Take a peek—most go until springtime, too. If you’re looking for international art, you’ll want to go to The Arts Club of Chicago for its amazing collection of emerging artists from all around the world. Plus, it’s not just artwork—the Club offers events and seminars that integrate film, music, gallery talks, and dance. It’s a great spot for those who love to interact with the art and directly share in the experience. Here’s what’s going on now. There’s no denying the emotional sentiments and passion within the exhibits and educational arts programs at The National Museum of Mexican Art. With creative pieces going back 3,000 years, there’s no shortage of rich history and culture at this gallery in the Pilsen neighborhood of Chicago. No matter your background, there’s something very special about this museum that brings out personal experiences and commonality. These are the current exhibits on display now.